WHY I LIKE THIS BOOK: What’s not to love about Harriet Quimby? While most women of her day sported corsets and long dresses, she donned a shiny purple flight suit. She also drove fast cars, wrote for magazines, and enjoyed adventure after adventure in the days before women could even vote. 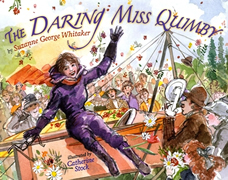 Whitaker’s book conveys Harriet’s spirit and zest for life in an age-appropriate way. And Stock’s watercolor images are simply heavenly. Whitaker includes an in-depth author’s note and women in aviation timeline. See an online timeline here. Kids can learn about the science of flight at the National Air and Space Museum’s “How Things Fly” website. NASA has a number of aeronautics educator resources on its website. Why not build your own paper airplane? Try different designs and see which flies the best. I love your choice. I remember seeing Harriet Quimby in the Womens’ Aviation Hall of Fame in Dayton. Glad to see a PB about her. And, women didn’t wear pants then either. I just love the books you find that make learning interesting — especially heroes. My favorite as a child was Madame Curie. This is a great choice. There are getting to be more and more non-fiction picture books, and I love that. Thanks for telling me about this one. Rosi, they are such great teaching tools on so many levels. 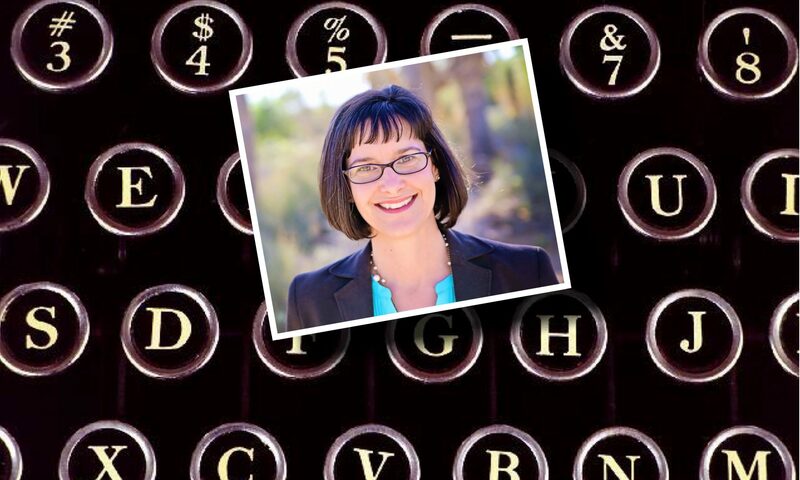 A teacher could use this one to teach writing, women’s history, the science of flight. The sky’s the limit! I bet if you were born in 1900 you would have given Harriet a run for her money (purple satin and all!). This does look like the portrait of another fascinating woman in history. I had the same thought as Wendy! Sounds like a good pick for the classoom too. Super nonfiction choice. What a woman! She was definitely daring. I can only imagine what she would have accomplished if she hadn’t died so young. And it’s from Holiday House, a publisher that always makes me think of Phyllis. I make the same association between Holiday House and Phyllis – isn’t that funny? Great book – you know with such a fabulous name she was going to be a fabulous woman! Airplane! Woman pilot! My kind of book! Thanks, Kirsten! And she had such style in that purple flight suit. this looks like fun, and the opening is wonderful. 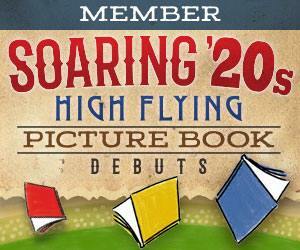 must go get a copy because – airplanes! And the thing is that’s so fascinating is that the airplanes are nothing like what we are used to today. Wood and fabric…you couldn’t get me up in one of those. I love that cover! Fearless women — great topic for everyone! Thanks! Fearless and chasing her dreams. Those are good lessons indeed. I have to admit, she did a great job with it, especially since (spoiler alert) Harriet dies pretty young. Erik, I find that very surprising. I hope you enjoy learning about her. I want to read this one! And, maybe my son will read it with me. He would probably love the early planes. They are amazing. Oooo, I like that purple suit! That sets her apart from other women flyers! Well, there weren’t too many women flyers then, but that purple flightsuit sure attracted attention.